The Nordic Qumran Network has enjoyed NordForsk sponsoring from 2003 – 2007. The network has stimulated scholarship in the four Nordic countries and built personal and scholarly links with younger and senior scholars in Europe and Israel. In this period seven members of the network received their PhD degrees, five of them in Qumran studies. Through the network these young scholars were able to participate in conferences and connect with colleagues and mentors, and we are proud of their scholarly contributions. Translations of the Qumran texts are now available in Danish, Norwegian, and Finnish, and the Swedish translation is on its way. A joint Nordic textbook in Qumran studies is under preparation. The network has conducted yearly symposia. Selected papers from the first four symposia will be published by Brill Publishers in 2008, papers from the last one will appear in Svensk Exegetisk Årsbok 2008. Although the network concludes its official work by the end of 2007, cooperation between Nordic scholars will continue. A continuation of Qumran scholarship in Finland has been enabled through support from the Finnish Academy. Anders Klostergaard Petersen, University of Aarhus, heads a network on related subjects. 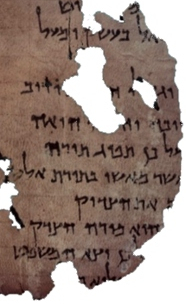 At the University of Copenhagen there is a group of biblical scholars specializing in Qumran studies. A number of Ph.D. dissertations in Qumran studies are in preparation in Finland, Denmark, and Sweden. One of the most vital and expansive areas in Biblical studies is the study of the so-called Dead Sea Scrolls or Qumran texts. These texts were found in Qumran, near the Dead Sea in Palestine, in 1947-1954. They date roughly from 200 BCE to 68 CE, and once belonged to a Jewish religious group. The texts have been studied in the Nordic countries for over fifty years. From the mid-1990s a new generation has emerged as qualified scholars in this field. The Nordic Network in Qumran Studies provides a base for combining the efforts of Nordic Qumran scholars. - to encourage popular scholarly publications on Qumran. Question everything that you encounter in life. There are so many sources of information that are now available and at the fingertips of anyone who wishes to find them. However, not all information is accurate, factual or even correct, which is why the truly investigative mind takes nothing at face value and always employs a deep, disciplined thinking modality to uncover the truth about the information. When dealing with and interpreting ancient texts such as the Dead Sea Scrolls it is of course important to maintain an objective standpoint to ensure the highest level of factuality and accuracy in the translations. Yet at the same time, there also lies the possibility of achieving and seizing upon opportunity goals that may be present in suggseting alternate interpretations as a side project. While the factual and accurate texts are maintained and presented as the primary project, it is also desirable to investigate metaphorical interpretations as well. This would in no way represent a deviation from the main objective but allow students and professors the possibility of theorizing and allowing mental expansion to attempt to understand the texts from a variety of angles to perhaps uncover ancient knowledge that may have been buried and even "hidden in plain sight" from translators operating only on a factual level. For more information on lateral thinking, see: "Acxus," where getting out of the box is the preferred modality and questioning everything with an open mind is the order of the day.